Pure Mind. Calm Soul. Hands of Steel! The indomitable martial artist is unique among adventurers. He does not rely on the trappings of technology, nor does he hide behind the bullet-proof vests or high-powered rifles. He defends himself with his hands, feet and soul. His confidence grows from his mastery, and honor and courage are his guides. Pawns of the CloneMaster: Chris McCubbin skillfully adapts the now-legendary game Kung Fu: 2100 to the GURPS milleu. Invade the villainous CloneMaster's mansion with your highly-skilled Terminators. Destroy the despot's computer systems and clone banks before the sinister Jellies and gun-wielding technicians can decimate your forces. And above all, beware the CloneMaster! Dark Arena: From the author of GURPS Martial Arts, C.J. Carella, comes a cinematic adventure in the tradition of late-night karate movies. Famous martial artists are being abducted by a scheming millionaire to participate in a highly illegal full-contact tournament . . . to the death! The PCs are caught in the middle as they fly to a secret hideout in mainland China, where the perils of the dark arena await . . .
Rightful Possession: Stephen Dedman's gripping adventure sends unsuspecting PCs back in time to Bushido Japan, where they must deal with an irate ghost and battle for control of a very special, and deadly, magical wakizashi. 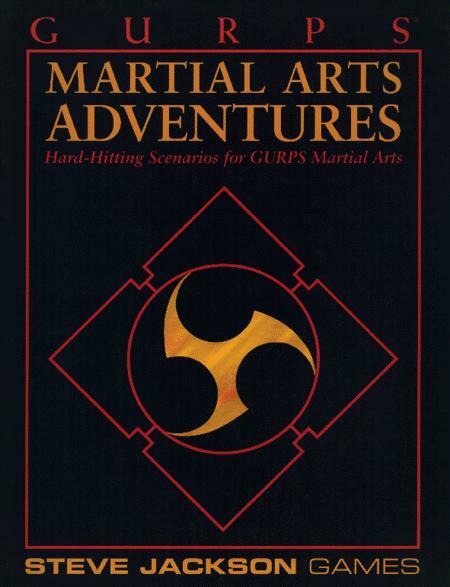 Also included are new rules for the GURPS Martial Arts system, including new styles, skills and maneuvers. 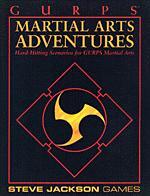 The GURPS Basic Set and GURPS Martial Arts are required to run these adventures.